Click to watch the following tutorial videos to get a closer look at navigating the VLA System. 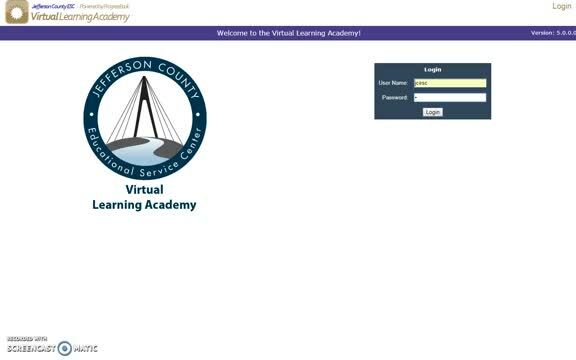 Each video covers topics that will help you, as you complete your online courses with VLA. In this video, you will learn how to log into the system, view courses, and units. To log in to the system, type the username and password that was provided to you and click "Login." This will take you to your home page. Once you are on your home page, at the top of the page, you will see "Welcome" and your name. Directly below that, you will find out how much time you spent working for the day and the total time you've worked for the current week. At the center of the page, you will see any courses in which you've been enrolled and your progress in each course. At the bottom of the home page, you can also see your progress summary. Here you will find the number of units assigned to you, how many you have completed, and how many are left to complete. 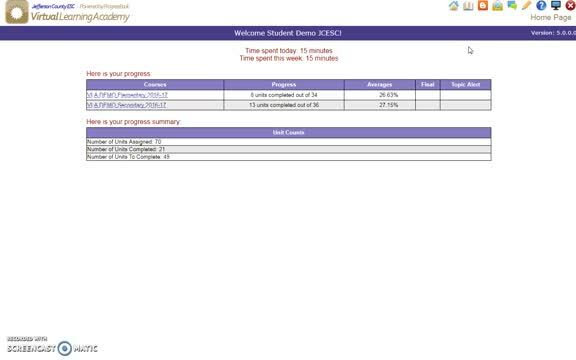 To access one of the courses, simply click the name of the course to be taken to the course page. Once inside the course page, you will see a listing of each unit in that course. To access a unit, just click on the title to see the content and questions for that unit. Now that you have logged in and arrived at your home page, let's learn how to navigate throughout the system using icons. On the upper right-hand side you will find the icons you will need to navigate through the system. The house: Clicking this icon will always bring you back to your home page. The open book: This is one way to open a lesson you are working on. The blog icon: This takes you to the blog page where you can find some tips and tricks to help you in your online courses. The open envelope: This is one way to access any email that has been sent to you or you have sent using the system. The conversation bubbles: This will take you to the forum. Many teachers will post helpful information in the forum. The pencil: Click this icon if you would like to write a message to your teacher. The question mark: This will take you to our technical support solutions page. This is where you can find technical help and pointers. The computer screen: You click this icon if you would like to contact tech support. This would be about a computer or system issue. All questions about your lessons should go to your teacher. And, finally, the red X: This is very important. You should click this icon any time you are done working in the system. This will log you out and help to calculate the time you spent working. Once you have opened a course from your home page, you can now see a listing of all the units within that course. To open a unit, simply click on the title. You will now see the content of the unit on the top of your screen and the questions on the bottom. You may also change your view to side-by-side, view just the content, or just the questions. These options are available by clicking the icons on the left-hand side of the unit. Once you have read through the content, taken notes, and are ready to complete the questions, here are some tips. Read each question carefully. You will respond to the question and click the "Save" button. You want to do this after completing each question. Be sure to answer all of the questions before sending to your teacher. When you have completed the unit, click "All Finished! Review My Answers." You will then get the chance to review all of your answers and make any necessary corrections. 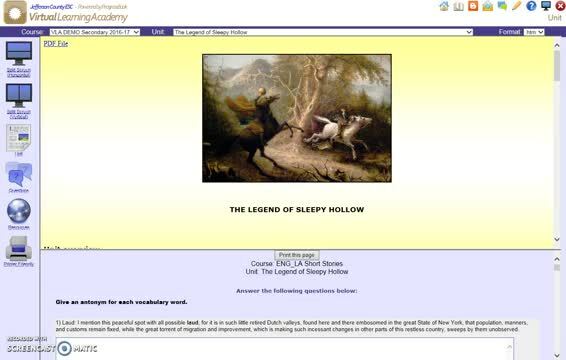 You can also write a note or a question to your teacher at the bottom of the page. When you are ready to submit, click "Looks OK! Send to My Teacher." To write a message, click on the pencil in the upper right-hand corner of the page. You will select the person to whom you wish to write the email. You can type just like any email or add an attachment from your computer. Click "Browse," find the file, "Open," and "Add." Now the attachment is part of your email. You can also add a recording by clicking the "Add Recording" button. You will see the step-by-step directions under the recorder. By clicking "record," they'll record your audio, "Stop," or if you need to pause, and then play it back to listen to it. You will click "Attach" when you are done with the recording, and then "Done" when you are done using the audio recorder. Now you will see that the recording is also attached to your email. When you are ready, you can click "Send the Message."